Happy weekend, and welcome back to 3-Ingredient Happy Hour, the weekly drink column featuring super simple yet delicious libations. 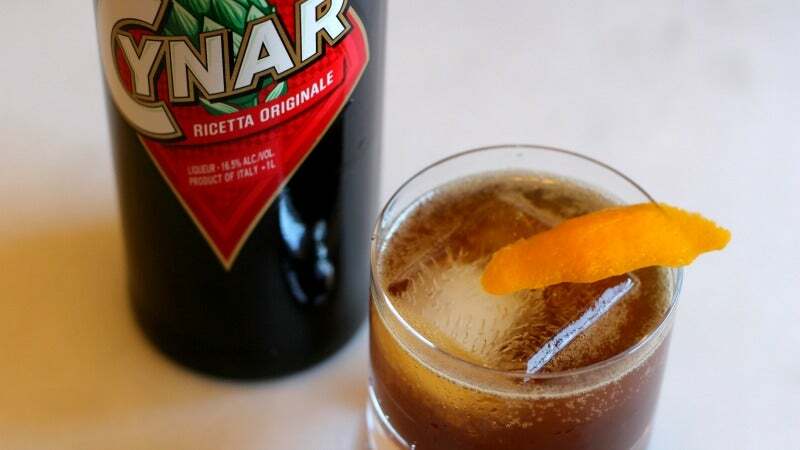 This week I am making a fizzy, bitter, Italian liqueur-fuelled beverage: The Cynar Fizz. If, like me, you're a fan of the iconic Campari, but are looking to branch out, Cynar is the next bottle you should buy. You may notice there's an artichoke on the label, and that's because this bottle of booze is made with artichokes. But, rather than making the liqueur taste like a steamed vegetable, it lends a woodsy quality. The result is a somewhat bitter, but pleasantly herbaceous liquid that can be used just as one would use Campari. If you think that zest looks orange, it's because all I had were Meyer lemons. Grab a lowball and chuck a big ol' ice cube in there. 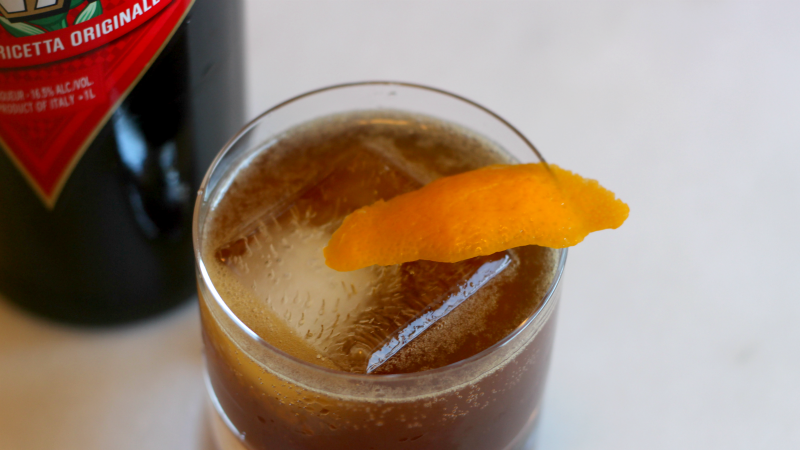 Add the Cynar and lemon, stir, and top with carbonated water. Sip and enjoy.